Introducing the newest addition to our collection of modern table lamps, this beautiful Gold & Silver Mercury Modern Table Lamp is a lovely addition to have sitting in any room in your home for an instant interior upgrade. 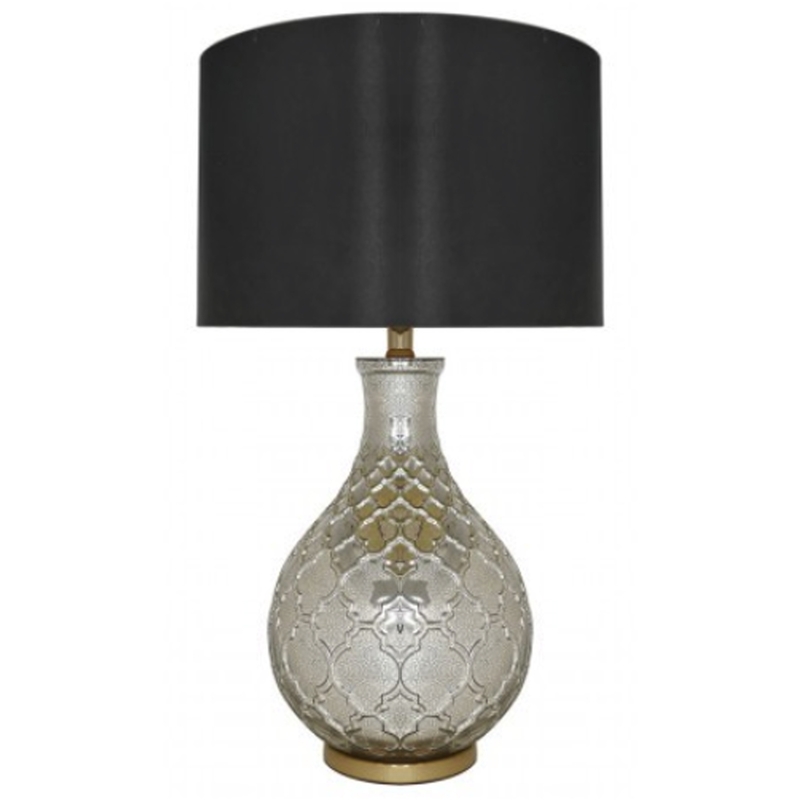 Complete with a silver mercury base that has a detailed patterned design, this lamps also has some gold features on the base of the lamp. Topped with a solid black shade, this lamp is a must have in any home.